Bisphenol-A (BPA) chemical, which is used in the manufacturing of plastics, has been identified as a major health threat, especially when used in food packaging. The extent of the risk of using BPA, or the allowable safe levels, have become topics of discussion of many debates, says Angelica Buan in this report, adding that safer alternatives may be in the pipeline. 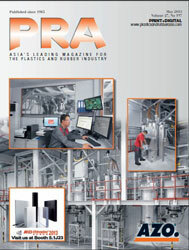 BPA, a chemical building block, is used primarily to make polycarbonate (PC) and epoxy resins. 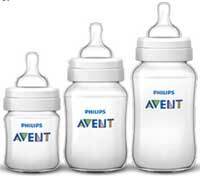 Clear and rigid PCs are used to make food and beverage containers as well as other goods like baby bottles. Epoxy resins, on the other hand, are used as anti-corrosive coatings or liners for metal cans, bottle tops and other metal products. BPA, according to studies, is carcinogenic, and acts like a synthetic hormone or oestrogen that may adversely affect reproductive systems. Researchers have also associated BPA with obesity, brain defects, cardiovascular abnormalities and other serious disorders. It is for this reason that in 2012, the US Food and Drug Authority (FDA) ruled against the use of BPA in baby bottles and linings of infant formula cans. Despite the bad rap on BPA, it has maintained its growth pace. Global volume consumption of BPA was estimated at 7.7 million tonnes in 2015, and is projected to rise to 10.6 million tonnes by 2022 at a CAGR of 4.8% between 2016 and 2022. India-based research firm Industry Experts says the strong demand for BPA is coming from emerging markets, with China, India, Mexico and Russia maintaining above average growth prospects. There are other applications that will also drive demand for BPA, such as wind turbines that require resilient rotor blades reinforced with epoxy resins. The firm also says that the intensifying campaign against the use of BPA in the food and beverage packaging sector may not be detrimental to BPA growth, since this sector accounts for a mere 3-4% of the use of PC. As of this writing, EWG has identified 78 brands in the US that still use cans with BPA-based epoxy lining for their products, while 31 brands have already shifted to non-BPA cans. Meanwhile, a new study carried out by researchers from Stanford and John Hopkins Universities reinforces the link between canned food and exposure to BPA. 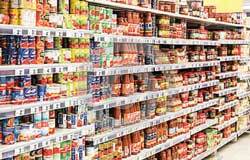 The study, published in the Environmental Research journal, highlights the challenges of varying exposure to BPA since specific canned foods have higher levels of BPA than others. The “worst offenders” it noted are canned soup, canned pasta, and canned vegetables and fruit. While a single conclusive study to nail down BPA may not be possible, consumers would rather stay safe, thus pressing manufacturers to transition to non-BPA packaging. Del Monte Foods may have been the first to start using linings of polyester and vinyl for some of its canned products in 2009. This year, it announced further conversions in a majority of its product offerings. Following its lead is another US producer Campbell Soup Company that plans to phase out cans that are l ined wi th BPA. The company has al ready begun using cans with linings made from acrylic or polyester materials and will continue to introduce the new linings across the US and Canada until the transition is complete in mid-2017. Since 2012, Campbell says it has tested hundreds of alternatives, identifying linings that would ensure the safety of more than 600 different recipes, such as its tomato-based products, which are naturally acidic and can react with some linings over time. Even with studies attempting to establish the downsides of BPA, industry regulatory bodies are split in their opinions. The European Food and Safety Agency (EFSA) has called for a re-evaluation of BPA on the heels of a public consultation. It has, however, negated any health risk from BPA at current exposure levels, but in 2015 lowered the tolerable daily intake (TDI) recommendations to 4 microgram (mcg) from 50 mcg/kg/body weight/day. It has also re-classified BPA as CMR 1B, or a category 1B substance that is toxic for reproduct ion. Thi s classification, which will come into force in March 2018, is significant as BPA can be nominated as a substance of very high concern (SVHC) on the basis of REACH regulations. CMRs can also be banned for consumer products in the EU. Other European countries such as Sweden, Denmark and France are also tackling the fate of BPA in their products. France, for example, has become the first country in the world to ban disposable plastic plates, to achieve its target of 60% organic material use by 2020, and streamlining, if not dismantling, its use of BPA-laced materials. While France prohibits sale and import of BPA products wi thin the count ry, i t however al lows the expor t of products that contain BPA, to allegedly protect the French trade competitiveness since BPA use is still allowed in the European Union! Meanwhile, the BPA Coalition (TBC), a group of EU-based manufacturers and users of BPA, maintains that with “existing standards for metal cans no alternative today is ready to live up to the quality of BPA-based epoxy resins in order to ensure consumers are safe when opening their can of soup”. TBC cites as proof that the FDA has not reported any incidence of food-borne illness from the failure of a metal can in the 30 years since epoxy-resin coatings have been in use. “BPA is one of the most tested substances in the world and health agencies from around the world, from the French Food Safety Agency (ANSES), to agencies in Canada, Australia and New Zealand, have concluded that at current levels of exposure BPA in food contact materials is safe,” TBC explains. BPA-free alternatives, how safe are these? Researchers at the above Stanford study posed doubts on the safety of synthetic BPA alternatives like Bisphenol S (BPS), which is used in some products and food-contact packaging labelled as BPA-free. TBC confers that compared to BPA, alternatives like BPS are “much less tested than BPA, and in some cases, results demonstrate that there could be a potential risk to the environment and human health”. Nonetheless, the group encourages for more research to find the ideal alternatives to BPA. Meanwhile, a new study on BPS by the University of California, Los Angeles (UCLA), titled Exposure to the BPA Substitute Bisphenol-S Causes Unique Alterations of Germline Function, says that BPS also ef fect s hormone disruption and, furthermore, is also harmful at even lower concentrations than BPA. For the study, researchers exposed nematodes to both BPA and BPS in concentrations similar to those commonly found in humans. The exposed worms showed lower fertility rates than control worms, the study says. This suggests that BPS may not represent a safe alternative to BPA with regards to reproductive and germline toxicity, according to the researchers, adding that BPS is more damaging to the endocrine system than BPA. A more recent study published in the Endocrine Society’s journal Endocrinology also points to the danger of BPS that is akin to BPA. According to the US-headquartered Endocrine Society, exposure to BPS can encourage the formation of human fat cells. BPS, while it has a slightly different chemical structure than BPA, is as harmful to health, and interferes with the body’s hormones, the study says. PVC-based and styrene-based polymers have also been considered as BPA replacements but these materials have their own share of health risks. 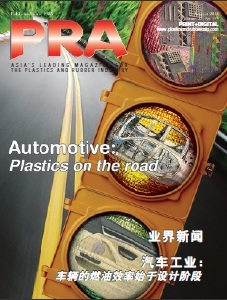 Other coating types such as oleoresin, derived from oxidative drying of natural oils, and polyester resins are also being used as substitutes for BPA. Offering a totally different option as a replacement to BPA-based resins is a new coating technology, Soy- PK Reactive Oligomer Cross-Linker, developed by US-based Ohio Soybean Council (OSC), in partnership with researchers at the world’s largest non-profit R&D organisation, Battelle in Columbus. Made f rom soybean oil , it is obtained using a solvent-free acetoacetylation process. It is compatible with many crosslinkers and capable of forming coatings that match the performance of BPA-based coatings, says OSC. According to OSC, R&D has shown its potential to provide excellent corrosion resistance for aluminium and steel cans, a key attribute when packaging highly acidic food and beverages. 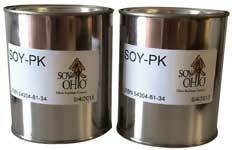 Soy-PK also dries quickly, which allows production facilities to maintain line speeds when spraying or applying the coating to food or beverage containers. OSC says it is actively marketing the technology to different levels of the packaging industry value chain and has received worldwide interest in licensing the product. With the phasing out of these chemicals and the ongoing screening of packaging chemicals for safety of use, the industry is faced with a challenge to look for more viable substitutes that can deliver the same timetested results for effective packaging.